I’ve now upgraded my Intrinsic Fair Value target slightly to $13.41. Based on M&A multiples in the industry (plus cash on the balance sheet), I’d now peg my secondary price target at a $16.69 Relative Fair Value. What’s interesting to see is that the TRIB share price spent a full year oscillating around $9.75-10. Since then, in the past two months, it’s established a new base in the $11-11.75 trading range. 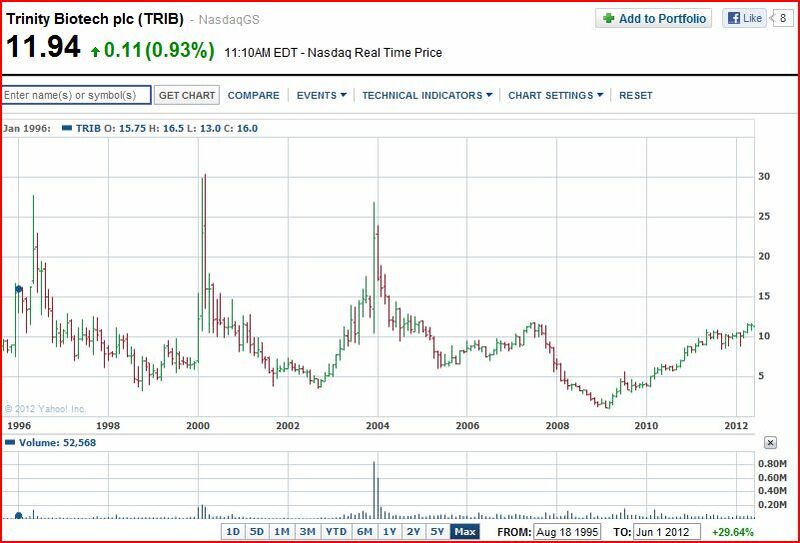 Even more interesting, $11.75 represents a seven year high for TRIB, and it broke that level yesterday (June 20th)! This move prompted me to trim my TRIB stake to 7.4% – no bad reflection on the stock, just some top-slicing, and it remains my 2nd largest portfolio holding. TRIB continues to trade strongly today (now at $11.94) – I like to see two consecutive closes above a key technical level for definitive confirmation of a breakout. Even if we see a (temporary) pullback, the overall price action already suggests a significant break higher is coming. I wouldn’t underestimate the impact of TRIB leaving the $10 level for dust either. This is pretty nutty from a European perspective, but in the US huge swathes of investors & institutions won’t follow or buy sub–$10 stocks. Now the share price has hurdled well clear of that level, I suspect TRIB’s only now showing up on the radar of many potential buyers. So, what’s the next target? Hard to say, higher technical levels are pretty stale at this point, so they may not prove so relevant or resistant. Presuming this breakout, a drive higher to somewhere between $13 to $15 seems entirely likely. This move would obviously reach/surpass my Intrinsic Fair Value target. As I’ve said before, that would certainly prompt me to trim my position further, back to (say) a more average stake size within my portfolio. For Trinity Biotech, this public market enthusiasm was expressed in terms of a buying frenzy every 4 years, which each time would drive the share price up from $10 to dizzying $25+ levels. 2008 broke that cycle, but no surprise there! But now it’s 2012, another 4 years have gone by, maybe it’s time for another run..?! Considering how much value investors get hurt buying (and selling!) too early, trying to hang on to a significant portion of my TRIB stake (with some tight risk control) could really offer some decent payback..!